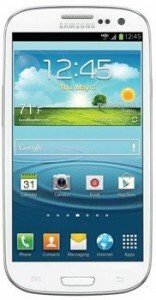 Got a “smart” phone? Why you using a “dumb” POP3 mailbox? struggling with syncing of mail? You shouldn’t be if you’ve got a Microsoft Exchange mail account. 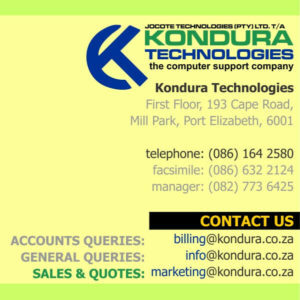 If you have two or more users, it may be more viable to switch to Office365 and Kondura Technologies can help you with this, at about R60 per month per mailbox. This is hosted securely with an internet service provider. Advantages of Exchange Mailbox over normal POP3 e-mail? Group calendars to streamline scheduling and meeting arrangements. Company-wide address books and other shared contact information. Public folders for organizing and sharing files. Shared, track-able task-lists and timelines. Group-wide communication and collaboration without the expense or technical hassles normally associated with supporting sophisticated software applications. Real-time access via the Internet to email management, shared calendars and address books, public folders, task-lists and timelines. I can have outlook open on my screen, click an “unread” mail on my phone and voila! the mail will be marked as read on my PC as I am looking at it. Your secretary can even add an entry into your calendar at the office and it will appear on your phone. I realize this is common knowledge to some, but you would be surprised how few people realize how technology works when used properly. The difference between exchange and normal POP3 mail? In exchange, multiple devices “look” at your mail folders – which are stored either at your office (on a server) or on a server at your Internet Service Provider – whereas older mailboxes need to download each message or download separate copies of your mail for each device you own – to fool your phone into thinking it works the same way as an exchange mailbox. Old mail like POP3 results in you needing to set things like “leave a copy of mail on server for 14 days” and then you could get “mailbox full” errors when people try send you things. With an exchange server, your mail is never downloaded – only if you choose it to be and then it is only a copy – the server doesn’t lose the mail or items – you merely “look” at your mailbox. If you have a tablet, phone, PC running an exchange mailbox, you delete a contact, or amend an e-mail address, or delete a mail, or send a mail, the changes you make appear on ALL the devices because you are not changing them on the device, but on the server itself. For example, if you send a mail, a copy will appear in your sent items on all devices, etc. The other great thing about exchange, all the newest smartphones like iPhone, Android and Windows work seamlessly with it. No extra software required on your phone. It just works! 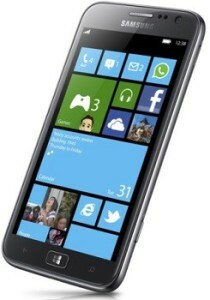 Thinking of getting a phone, we recommend iPhone, Android or Windows phones. These work with native Microsoft Exchange Server. We do not recommend Blackberry as it uses proprietary software – more things to go wrong in our opinion – more on this in a future article. One word of caution if you do buy a smartphone – please ensure you set a limit / warning on your cellphone data usage or account overall usage to prevent you watching too many you-tube videos or downloading apps and letting you be billed at South African cellular provider’s astronomical out-of-bundle data rates! This entry was posted on 10th August 2015 at 09:55 and is filed under BLOG Posts. You can follow any responses to this entry through the RSS 2.0 feed.